Every thriller needs a hook and Richard Jay Parker's STOP ME has one serious hook! It is also one of the most cleverly marketed thrillers out there - using all the social media channels, twitter, You Tube etc, Richard has rolled a brilliant book out to an unspuspecting audience who, once hooked, can't but read on. 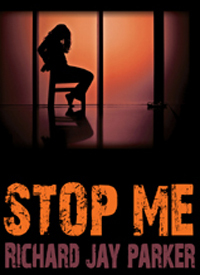 STOP ME is out in paperback on 11th January and is featured in WH Smith airport outlets. This Interview posted by Sam Blake on 24 August 2011. So who is Richard Jay Parker and how did he start writing? 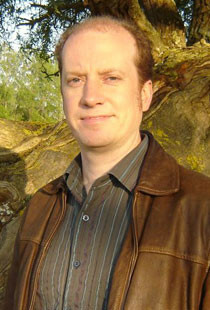 Richard was a professional TV writer for twenty-two years, contributing to a wide variety of TV shows, and eventually becoming a head writer and script editor. Sounds good, but in tuuth he much preferred drinking with the writers than attending budget meetings and listening to the incessant demands of whingeing performers. The digital proliferation and a reduction in the sort of budgets that afforded him the long lunches he came into the business for in the first place led him in a new direction…. He elected to subject himself to the easy streets of writing and getting a novel published. A cornucopia of disappointment followed but he did get an inside perspective by reading new novels for a literary talent scout. Then his agent Ben Mason at Conville and Walsh submitted STOP ME. It was picked up for publication by Allison and Busby. So what’s the hook? Some ignore it, thinking it’s a crank. Getting published can be long and rocky road for many writers, what’s your story – how did you find your agent? It’s a very long (ten year) story. I had a TV agent for eight years but writing novels is an entirely different undertaking so I made the decision to leave the comfort of TV representation and find a literary agent. I was lucky to secure an agent with my first novel (a bizarre, dystopian character piece) but it was a hard sell so, in the meantime, I worked on some other ideas. My first novel didn’t sell but I eventually discovered that I loved plotting thrillers. My then agent had already knocked on every door for me so I had to start from square one again. I worked on a book for a new agent but that didn’t work out. I had some near misses with other agents but eventually the second agent I’d been in touch with got back got back to me – he’d been poached to a more progressive agency. I was working on STOP ME at the time so submitted it to him there. He liked it and it got a favourable in-house reader’s report. It was submitted at the end of 2008 and got picked up after I’d re-written it following some editor comments from the first wave of submissions. There were concerns over it flashing back too often so I made it more linear. That did the trick. 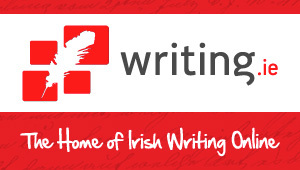 STOP ME has a gripping email device at its core – how did the idea come to you? I think the idea was something that was always at the back of my mind every time I received one of those spam emails that said ‘If you don’t forward this to ten people you won’t find happiness/won’t get rich.’ My thinking was: What if a serial killer used a spam email? What if a chosen victim’s life depended on an email being forwarded? It didn’t seem like that much of a leap. How did you start writing STOP ME – did you plot out your story, start with developing your characters or did you just start writing? I started writing about the life of my main character after his wife has vanished and considered what effect living in a limbo, not knowing if a person close to you is dead or alive, would have. I had a handful of ideas for books written down and ended up using all of them in the story. It wasn’t long before I had the whole plot mapped out and was able to have fun with working out how Leo would react to each new development. 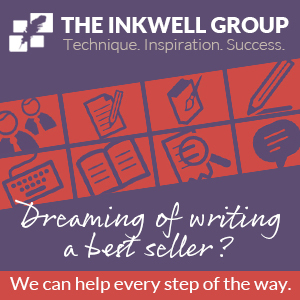 What writing techniques do you use? Mind maps/story boards, notes on each chapter etc? Most of it I worked through in my head and then scribbled notes as memory joggers when I was writing. How do you write – starting at Chapte 1 and working to the end, or do you write different chapters/scenes and fit them together? What works for you? Once I had the twist worked out I worked my way towards it. In the original draft I teased the reader a little more and revealed the details of Laura’s kidnapping gradually. However, editors who read STOP ME favoured a more straightforward narrative so the final draft was chronological bar a few flashbacks towards the end of the story. All successful crime writers do a LOT of research to ensure their stories hold together, tell me a bit about the research you did for STOP ME…. When Leo accepts an invitation from the man who claims to be the Vacation Killer – who may have his wife captive – I wanted them to meet in a place that was as tenebrous as John Bookwalter. I’d been to Mardi Gras in New Orleans and thought it was a great backdrop for a story. Leo is living in a hangover from his previous life so having him trudge the bottle-strewn streets after Mardi Gras has just finished seemed very appropriate. It’s a very evocative and shadowy place and there are great contrasts between the festival and its underbelly. I’m usually at my keyboard by eight and allow myself a couple of hours of distraction – emails, Twitter etc before I get started. I never give myself a word target for the day. As long as I make a quality contribution to my story – whether in the form of constructive thought or writing – I’m happy. We all have days when the ideas won’t come, or we get stuck, how do you get over this? Nobody fires on all cylinders 24/7 so you just have to be philosophical about it. If I’m not making any headway with my writing I’ll try to focus on promotional ideas and hope tomorrow the creative signals will be clearer. I’ve just delivered my second thriller to my agent and he’s very fired up about it. (fantastic!) Reader consensus seems to be that it’s better than STOP ME. I’ve also had some TV interest in STOP ME. So while I’m waiting for further feedback I’m jotting down notes for the next one. I still haven’t hit upon the hook for this one yet but it’s a mistake to rush into writing. Haste is waste. I’ll just let the various components sit in my head a while longer until I find something to unite them. I’ve just finished my comfort reading from Christmas – The Haunting Of Toby Jugg by Dennis Wheatley. I haven’t read any of his books since I was a teenager. It was great fun. 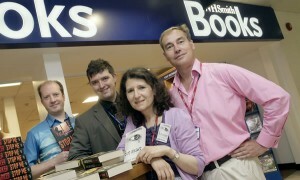 Richard Jay Parker with thriller writers Leigh Russell and Matt Lynn at WH Smith’s East Midlands Airport branch. The Book Depository are doing a deal on STOP ME at the moment – 32% off plus free shipping to anywhere in the world: http://www.bookdepository.co.uk/book/9780749007072/Stop-MeBuy yours now – you’ll be guaranteed a rip roaring read!